Cover de Curt Swan si Neal Adams. 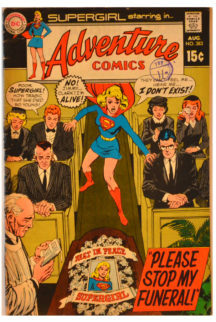 “Va Rog, Opriti-mi Inmormantarea!”, cu Supergirl, Superman, immy Olsen, Batman, Robin, Perry White, Lucy Lane, Lois Lane, Comet, Streaky, Abraham Lincoln, Joan of Arc si Isaac Newton, scenariu de Robert Kanigher. Aruncata intr-un Pamant Paralel, Supergirl este martora inmormantarii sale. 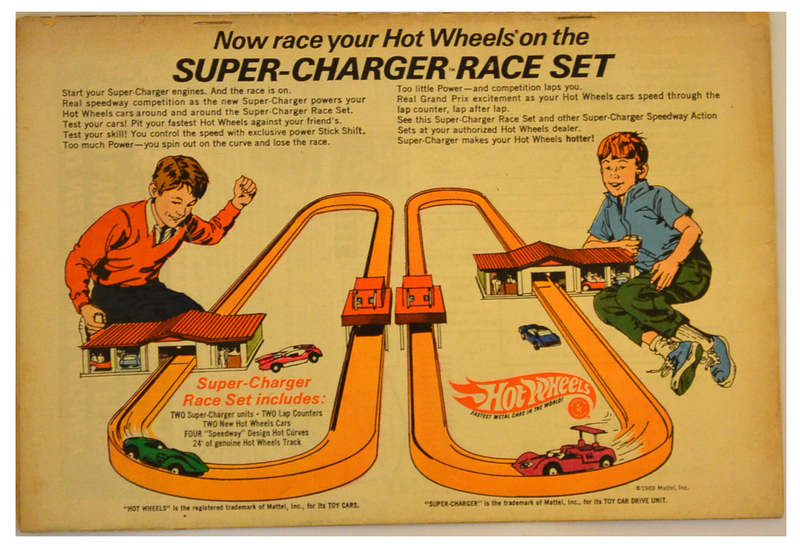 “Supergirl’s Day of Danger!”, scenariu de E. Nelson Bridwell. 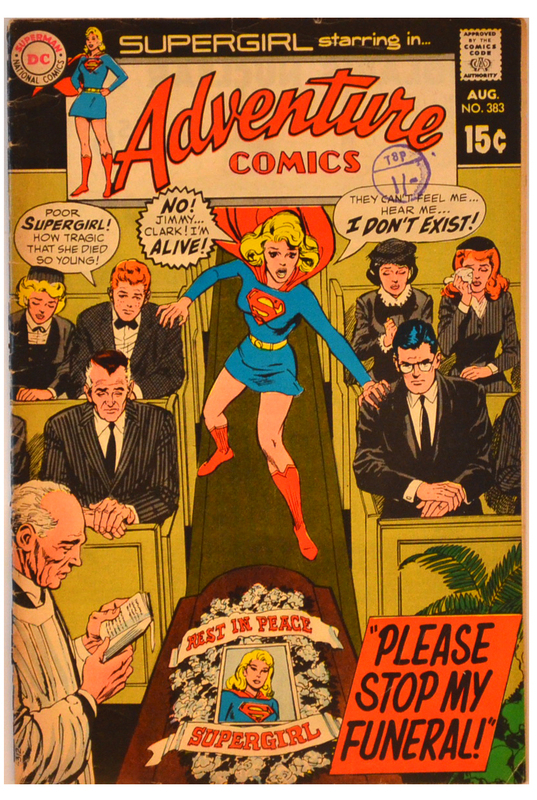 Be the first to review “Adventure Comics 383” Click here to cancel reply.